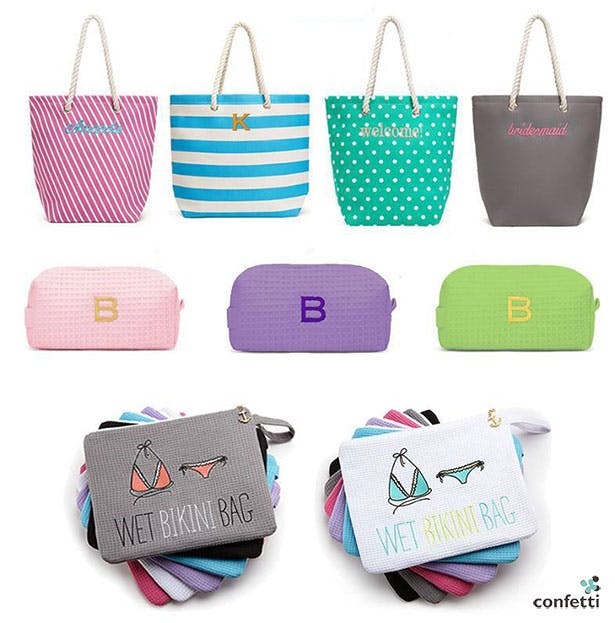 First things first, its wonderful you’re taking the time out of your busy wedding planning schedule to find ways you can show your appreciation and love for your bridesmaids. Your bridesmaids are your go-to girls, and that’s a fact. Not only are they there to give you a helping hand during the planning process but also on the big day. Today, we’ll show you how to make your bridesmaids feel special. You remember the feeling you got when your other half popped the question, the tingles of excitement, and the utter joy of the moment. 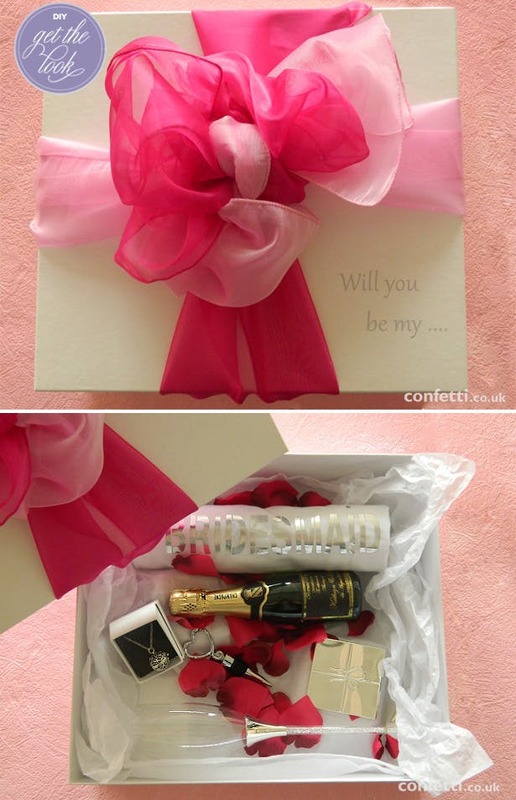 Imagine how your girls will feel if you asked them in a unique and personal way; if you propose to them, so to speak. 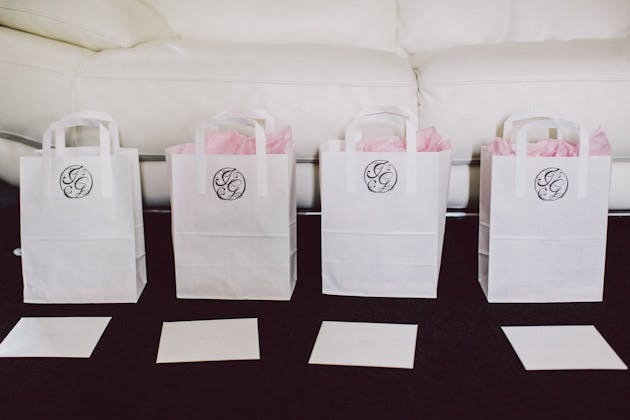 It’s the perfect way to start your wedding planning process, you don’t have to spend a fortune, simply put together a box of all the essentials they will need, along with a small “Will you be my…” message and you’re done. Our DIY proposal box is the perfect starting point. Bridesmaids’ all knowing one another before the wedding is very rare, to avoid the awkward silences take the time out to introduce them to each other before the wedding. As soon as you’ve picked your maids you will want to get them talking, if they can’t do this face to face due to distance use social media or smart phone apps to create a bridesmaids group and invite them all to it. If your maids live near each other organise a meal or a night out, make the evening about them. With your maids all acquainted it will make them feel special and will be one less thing for you to worry about. Weddings bring out the wedding planner in all of us. 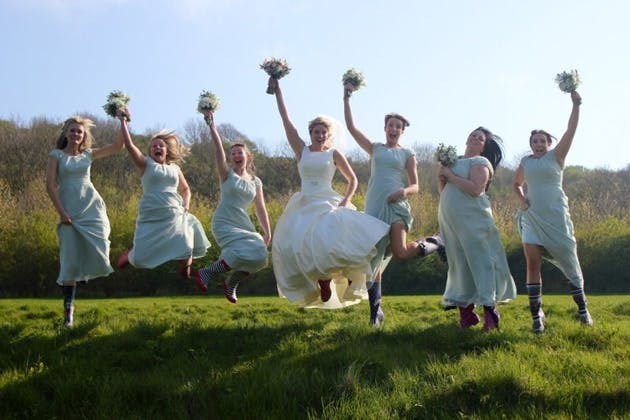 We all have ideas of what will work and what won’t, this also includes your bridesmaids. Get them involved in the planning process, ask them for their opinion but don’t dismiss them straight away. Take in to consideration what they have suggested, shooting them down straight away will dishearten them and may even make them feel they aren’t appreciated. Ultimately, the decision making will be left to you and your partner, but a few ideas from others won’t go a miss. When it comes to your wedding, you’ve probably envisioned how everything will look from start to finish, including the bridesmaids dresses. When you go dress shopping with the girls, show them exactly what your vision is, show them what it is you want, but give them the choice. Not every woman is the same, we all come in different shapes, sizes and colours, your bridesmaids will appreciate you letting them have an input in the attire they will wear. By allowing the girls to contribute, you are more likely to come to a solution that suits you all. Money can be a touchy subject, but if you suspect one or more of your bridesmaids are struggling financially you may want to offer to help cover the cost; whether that’s covering the travel cost or paying towards the dress. A contribution, no matter how big or small, will show your girls just how much it means to you to have them by your side. Taking your girls on a spa break or even staying at home with a few face masks and a bottle of wine is a win, win situation for you all. Not only will your maids appreciate you taking the timeout to relax and spoil them; you’ll also have your favourite girls looking and feeling like goddess on your big day. Once you’ve planned you wedding exactly how you want it, planning an evening with your girls so you can share your schedule. Talk them through the details, let them know what you want them to do and highlight the aspects of the day they will play a crucial role. Your girls will appreciate knowing what the plans are so they can make the necessary arrangements, book time off or even arrange a baby sitter. The weeks and days leading up to your wedding can become overwhelming for many involved, especially for those who will play a crucial role on your day. Give your girls a day off, a day where they can relax and get back to their own lives. The time out will guarantee they will be refreshed and ready to tackle any wedding dilemmas you may be facing. Weddings can put a lot of strain on you, with a million and one things to organise it’s easy for the pressure to get to you. 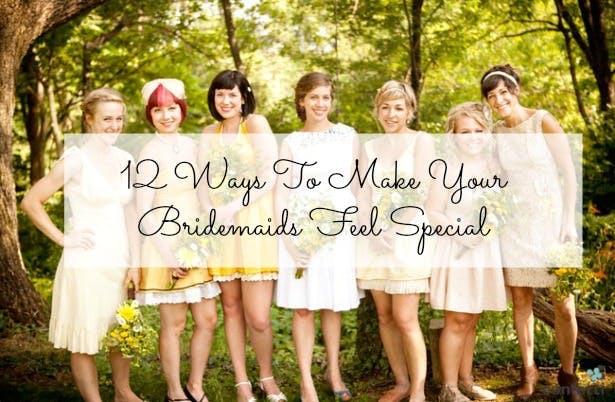 If you feel overwhelmed talk to your bridesmaids, tell them how you feel. Your bridesmaids will be sympathetic towards you and your situation. When planning what pictures you want on the day, don’t forget to include a fun shot with your favourite girls. Not only will a few silly poses be fun on the day, but will make the perfect thank you gift wonderful keepsake. Before the night is over, you will want to thank your bridesmaids personally. Taking the time out to tell them how much you appreciate their help and show them your love is a moment they will look back on and cherish. Gifts are traditional and a wonderful way to show someone how much you appreciate their hep, but personalised gifts makes the receiver feel extra special. When you decided to give your bridesmaids their gift is entirely up to you, if it’s something they can wear to the wedding, present it to them in the morning. Or, plan an evening out or a meal where you can all reminisce on your favourite part of the wedding and present them with their than you gifts. We’d love to hear how you plan to make you bridesmaids feel special on your day, so don’t be shy, get in touch.